It’s not often that I have to write 2 previews for one match. But so much has changed in the past 10-12 days, the previous post seems barely relevant, even though it is the same matchup. For one, we’ve already played the round that was supposed to happen after this one, and both of us had less than desirable results. Secondly, they don’t even have the same coach as they did 2 weeks ago. But most importantly, with all that has transpired since then, this match has even greater significance for both teams. Should we win, we will truly be biting the hand that feeds us. This is the match that was scheduled for Saturday the 14th, but then the unthinkable happened and all of the games were postponed. During the days leading up to the previously scheduled match, the Genovese fans had grown restless to the point that the team had to train under police watch for their safety. I thought that was bad, but their match vs. Siena this past Sunday was interrupted by ultras, who delayed the match for over 40 minutes, throwing flares on the pitch, climbing on top of the tunnel, keeping their team hostage on the pitch, and asking the players to take off their shirts, claiming Genoa players were not worthy to wear them. After captain Marco Rossi, goalkeeper Sebastian Frey, and especially midfielder Giuseppe Sculli, who never removed his shirt, had personally bargained with them, the ultras relented and allowed the match to finish, a 4-1 loss to Siena, with Siena scoring an own goal. Keep in mind that there was already fan unrest between the two clubs back in December, causing police to use tear gas which ended up delaying that match for a while, too. So of course after Sunday’s display, Malesani was never going to be allowed to stay, and for the second time this season, he was fired as Genoa coach. Genoa have opted for Gigi De Canio, most recently coach of Lecce through last season, but also having coached Genoa previously, back in 2004. He will have been in charge for less than 72 hours by the time we kick off tomorrow. For this reason, I am not even going to try to guess his lineup, I’ll only say that my sources say that Marco Rossi and Giandomenico Mesto are both suspended for this match due to card accumulation, so he’s starting out with a handicap in personnel. 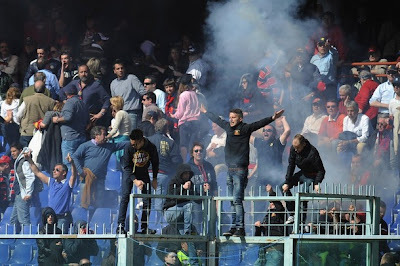 De Canio: "Wait, what did the Genoa fans do? I was napping." 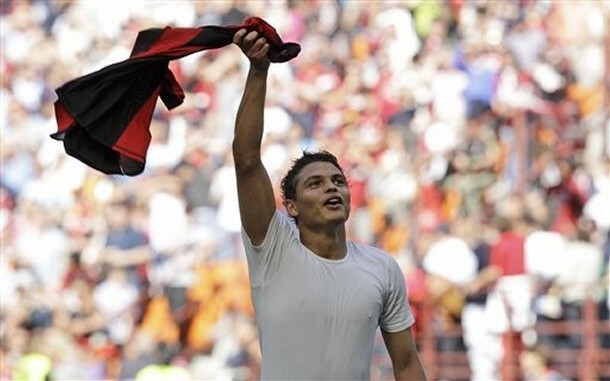 Milan are finally on the flip side this season, with the return of Thiago Silva, Boateng, and also Ambrosini expected. Allegri will finally have the problem of having to choose from multiple players for each position instead of putting out the least injured 11. I’ll throw out a guess as to his starting lineup, but don’t put any money on it, you are likely to lose that bet. So… Abbiati, Abate, Nesta, Silva, Urby; Nocerino, van Bommel, Muntari; Boateng; Cassano, Ibra. Again, so many choices, hopefully he can find the perfect combination. And for the record, El Shaarawy said he wouldn’t celebrate against Genoa, the club that brought him here, so he deserves some time to put his actions where his mouth is. But the real question is how will Genoa play? After having been completely emasculated by their fans, will they find the fire within to stage an amazing comeback and fight to stay up in Serie A? Or will the humiliation break them and keep them from playing well at all? 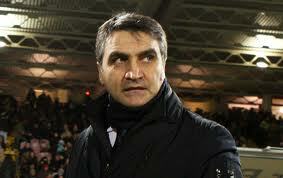 Will the new coach revitalize them or will he confuse them and cause them to stumble further? Despite the poor results, Milan have their strongest squad in a long time to lineup to face our troubled neighbors. Will we trounce them and grab 3 points, or will they be shown some mercy? It's okay, you are more than worthy to wear the Milan shirt, Thiago! Milan are in a tight spot, because we need the 3 points, and of course you always play to win. But winning will almost certainly guarantee Genoa relegation, and they have partnered with us on more loan deals and 50% ownership deals than any other team in recent history, so we need them in Serie A. So in essence, by doing our jobs and winning tomorrow, we are biting the hand that feeds us. Not a great spot to be in, but we can always win it and hope that Genoa change their own fate. After all, our own fate rides more on our own performances, with a little luck from others. Let’s do this thing then! This match will be shown on FSC and ESPN3 in the U.S.